3. Body is an open text field, meaning you can populate it with the description/content of your email. 4. 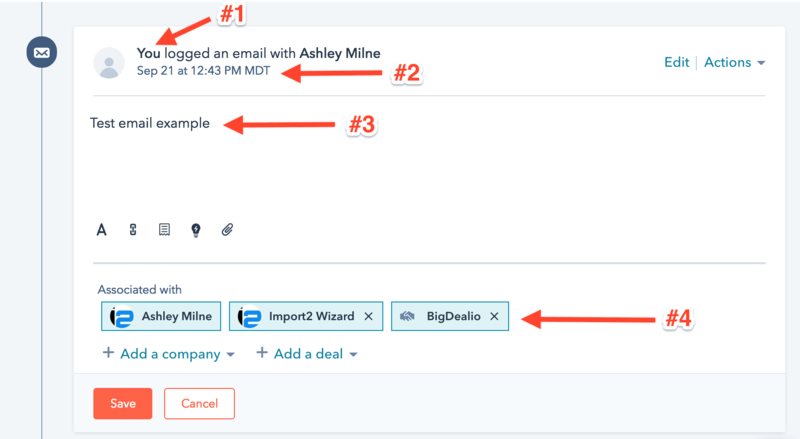 The associated contact, company and deal are actual lookups (links) to a record in your HubSpot database. You can map this field to link records during the import, as long as you have a column in your CSV to identify the record(s) to link to. Any field on the contact, company or deal record can be used as the way to link (even a custom field of your choosing).